A tasting organized by the Grand Cru Classés of St. Emilion turned out to be a striking demonstration of the power of the oenologue. The 64 Grand Cru Classés are the starting level of the classification, below the 18 Premier Grand Cru Classés (according to the reclassification of 2012). Half of the Grand Cru Classés were represented at the tasting, showing their 2009 and 2010 vintages. On the subject of style, alcohol levels were high, just a touch higher in 2010 (average 14.6%) than in 2009 (average 14.3%). A more revealing comparison is that some wines in 2010 were as high as 15.5%, and almost half were 15% or greater, whereas the highest wines in 2009 were 15%. In all fairness, the alcohol was well integrated and did not stick out, but the level gave me pause for thought about the staying power of the wines. I was also extremely surprised to discover that some wines had levels of residual sugar that were almost detectable (around 3g/l: the level of detection for most people is around 4 g/l, and most red wines usually have only around 1 g/l). Sometimes I got a faint impression of saccharine on the finish, but this seems to have been due to ripeness of fruits, because it never correlated with the level of residual sugar. So I thought I would see whether I could detect the hand of the oenologist directly, and I organized my tasting in terms of oenologists, tasting all the chateaux from each oenologue in succession to see whether similarity of style was obvious. I think it is a fair criticism that the style of the wines tends to be a bit “international,” but there did not seem to be enough homogeneity among the wines of any one oenologue to validate the view that they impose a common style. Every oenologue had some wines that were lush, but at least one that showed a more restrained fruit impression, sometimes with an almost savory sensation. It would have been difficult to identify the oenologue in a blind tasting. Perhaps the wines for which Hubert de Boüard was the consulting oenologist tended to be the most refined. If there is a marker for Michel Rolland’s style, perhaps it is the sweetness of the smooth tannins. 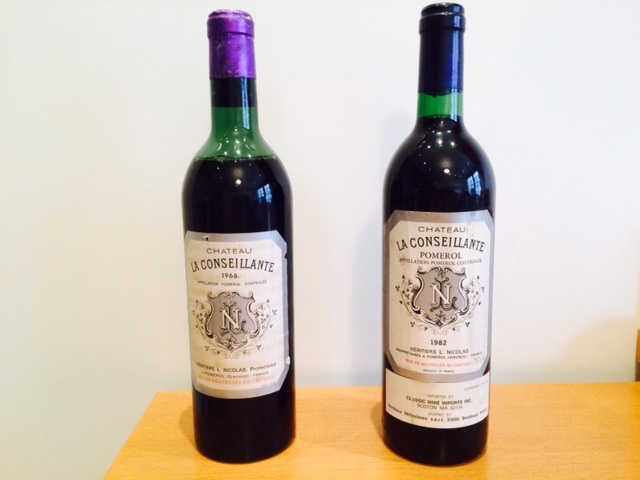 Rolland’s focus on ripeness is shown also by the fact that in both vintages, the wines on which he was a consultant showed higher alcohol than the average. There were direct impressions of overripe fruits on only a couple of wines. I did not get much sense of anything but Merlot in most of these wines (the average Merlot is 75%); the dominance of those soft Merlot fruits tended to give a somewhat monotonic impression. Overall I was disappointed: there was too much sameness and not enough character to the wines. They seemed more at a level equivalent to the Cru Bourgeois of the left bank than to the classed growths of the Médoc. Perhaps flavor variety will develop as the wines mature, but my impression is that the wines are more likely to simplify into sweet fruits. Perhaps this is due to the combination of grape variety and the ripeness of the vintages rather than oenologues’ choices. But I was left with the feeling that the monotonic fruit character and high alcohol would make a bottle tire over dinner.